July 4th is just around the corner—coming right up next Monday. 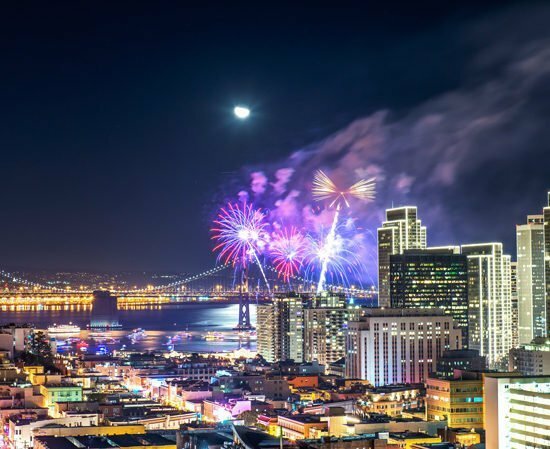 City residents (or visitors) always revel in the City of San Francisco Fireworks Show from the Bay (over the waterfront), considered among the best shows in the world. Two sets of fireworks are synchronized and launched: one at the Municipal Pier’s end, and the other on barges off of Pier 39. The display starts at approximately 9:30 pm Monday night. You can view this gorgeous fire storm in the sky from virtually anywhere in the Bay Area where you can see over to the SF waterfront. But here in the city it’s transcendent. Fun fact: all the hilltops in SF have parks—naturally panoramic viewpoints for the show. And you’re going to hear the symphonic booms and pops as well. Fisherman’s Wharf—if you can get there early enough to cram in with all the other fireworks watchers. Music and our brand of SF entertainment too. Pier 39 has its own brand of fireworks watching, combined with family musical entertainment. Aquatic Park: a lot of the space is reserved for VIPs, but bring your blankets and fold up chairs and you could luck out with a plumb spot. Ghirardelli Square is fun, hip, exciting, and right near the fireworks action. Coit Tower parking lot: will probably have to walk up to it. There are some fantastic July 4th bay cruises offered by the several yacht cruise lines plying the bay. Requires reservations, and some feature a full dinner and dancing lineup. So head on out and join the festivities and people of SF’s Fourth of July. 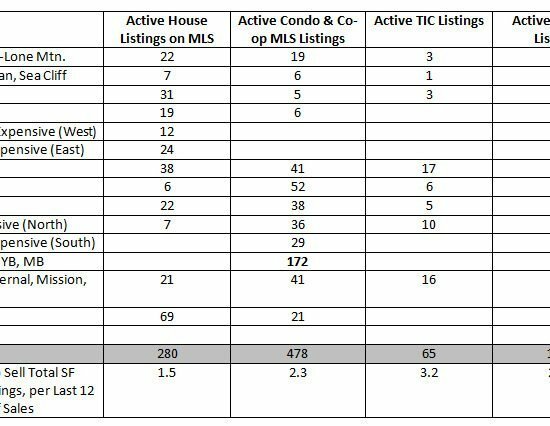 What’s Up With Current SF MLS Listings? 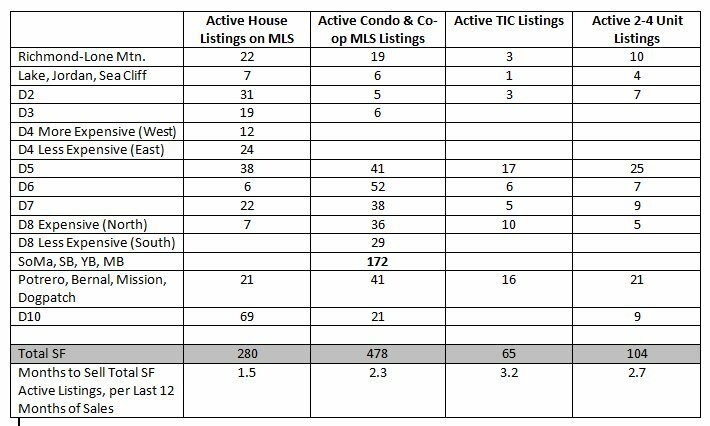 How about a snapshot view of SF’s listings on the MLS presented in one easy-to-read chart? Take a look below. It’s an interesting perspective hot from the records of June 27, 2016. Here’s my take on these numbers. 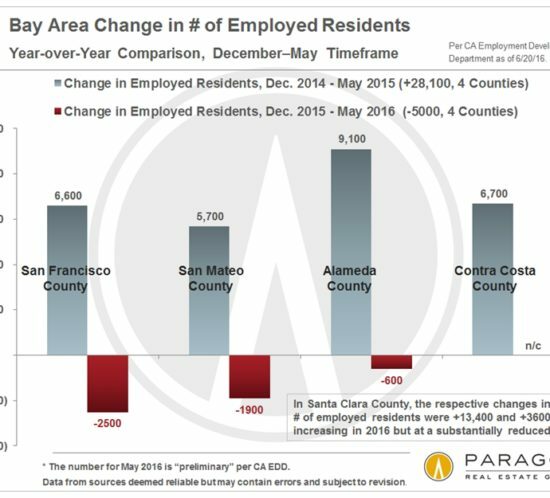 Districts 3 and 4 are growing dense with single families, which explains why there is a higher volume of house inventory there. 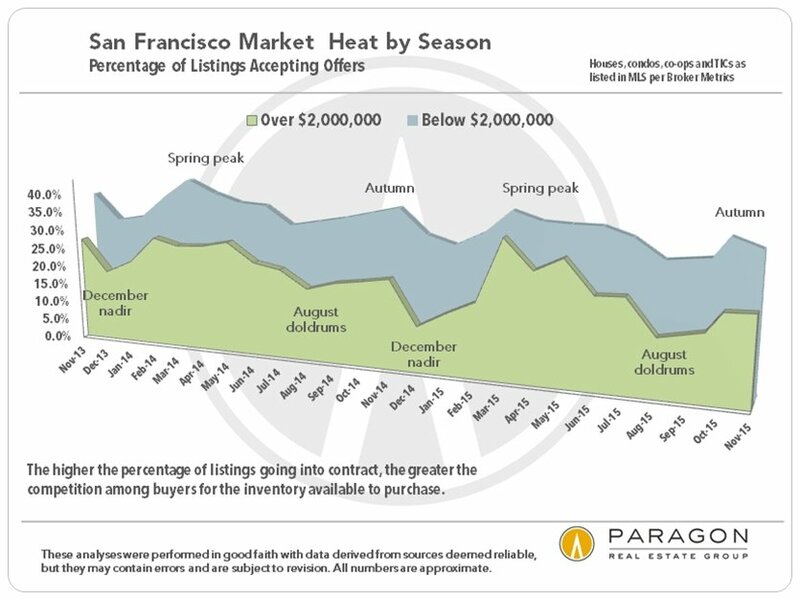 District 5 is where you find the largest concentration of 2-4 unit buildings, with the Potrero, Mission, Bernal and Dogpatch neighborhoods coming in under District 5 for most 2-4 unit listings. 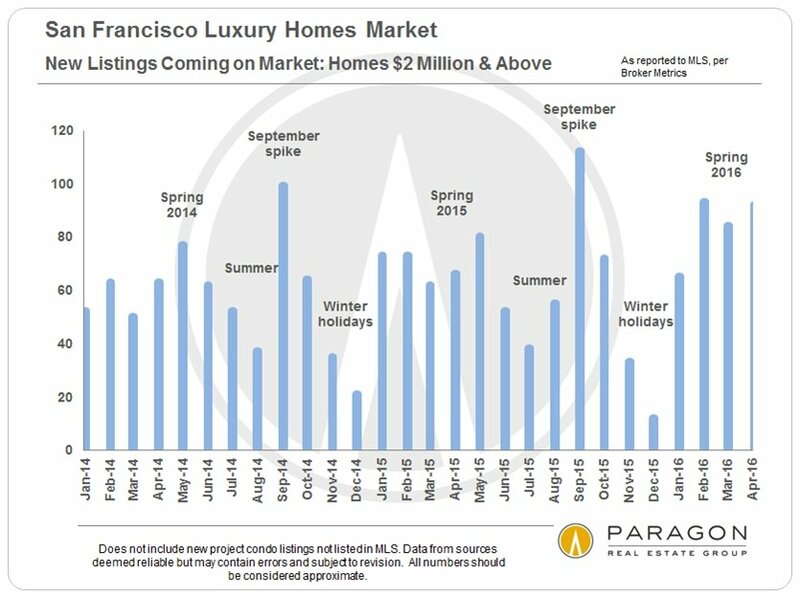 Notice how the Soma, South Beach, Yerba Buena Districts have no single-family homes. These neighborhoods are dominated by high-rise construction and mid- rise loft buildings. 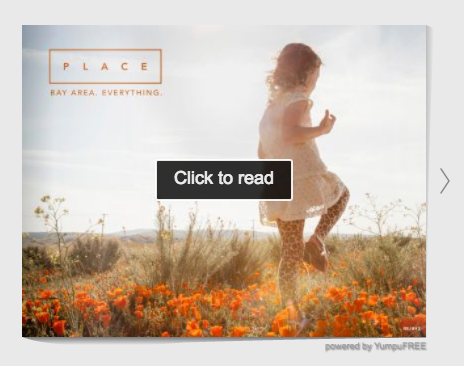 It is also where many of our new home developments are located. 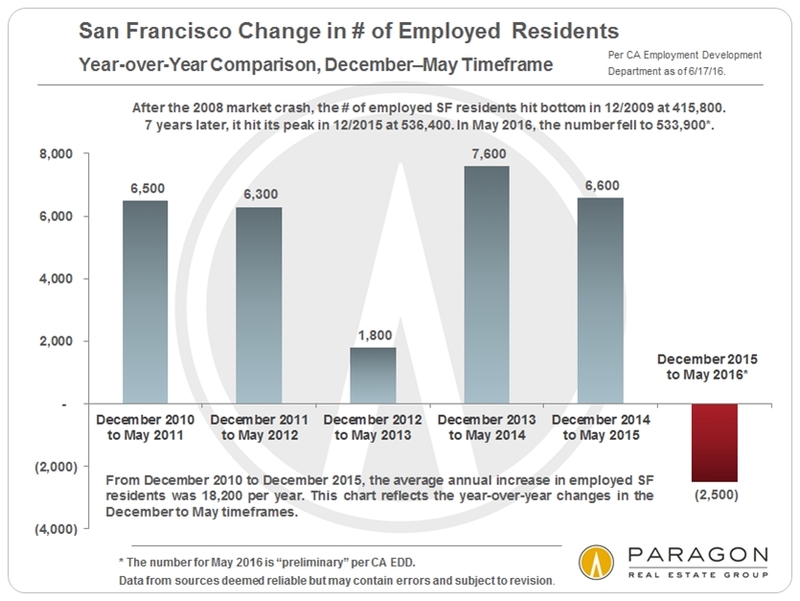 These new high-rise buildings typically do not post their inventory in the MLS. 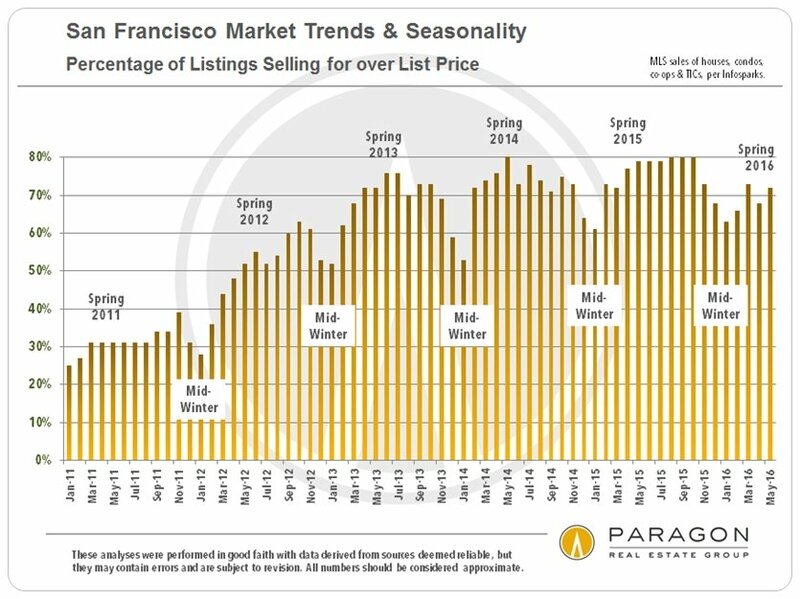 If they do post inventory, the volume of listings available in those neighborhoods would show much, much higher on this chart. 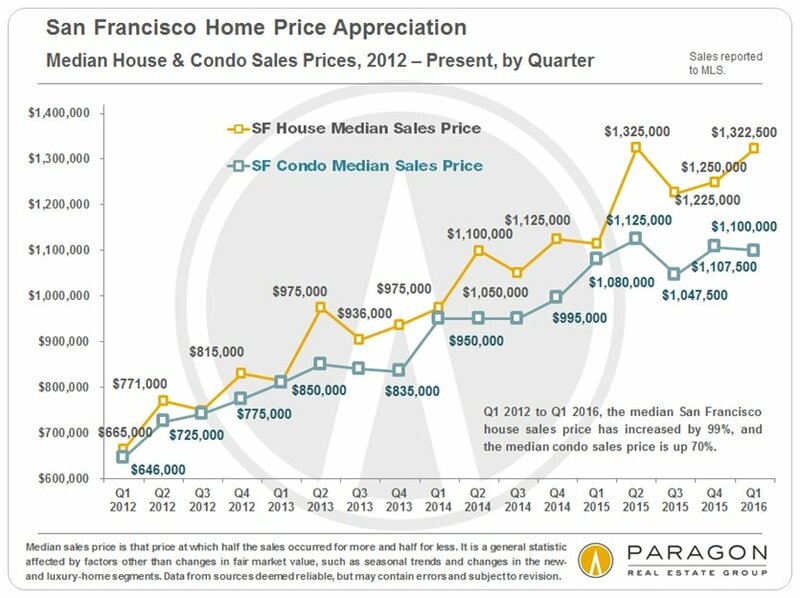 Unfortunately, there’s a real old rental con that’s being pulled in 2016 on individuals looking for SF rentals and SF homeowners selling their homes. Beware if you’re looking to rent, and brokers should also be very vigilant. 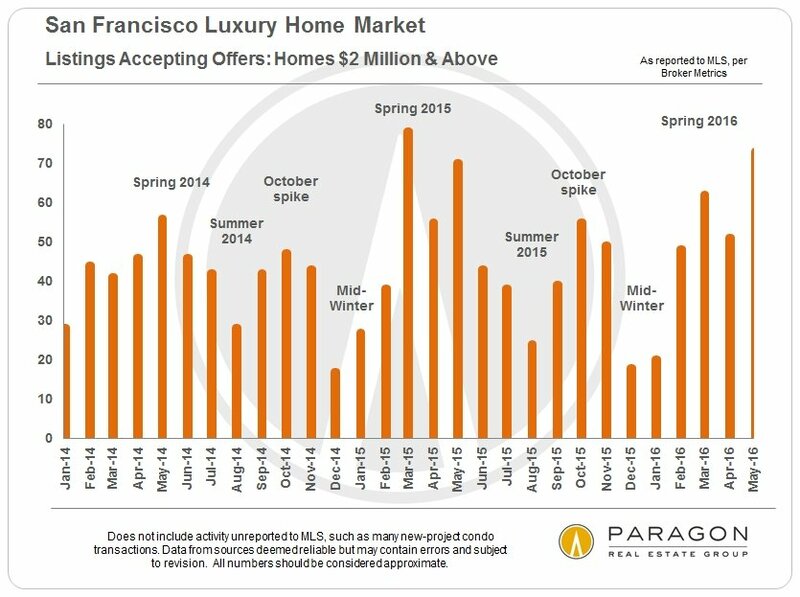 Here’s the scam: target a house for sale in SF; create an attractive rental ad for the house on Craigslist; provide very detailed information on the home when queried; make excuses as to why the home can’t be seen; send out bogus lease agreements to the marks; collect by wire the first month’s rent plus two months security deposit from the mark. Rentals are pricey here in the city, and these scam artists can easily walk away with a cool $12,000 and up for their con work on one person. Most of these con people are over in Europe where they can set up accounts on Craigslist (also Trulia, Rentals.com), and actually do all the communication remotely by email, and receive the funds by wire. 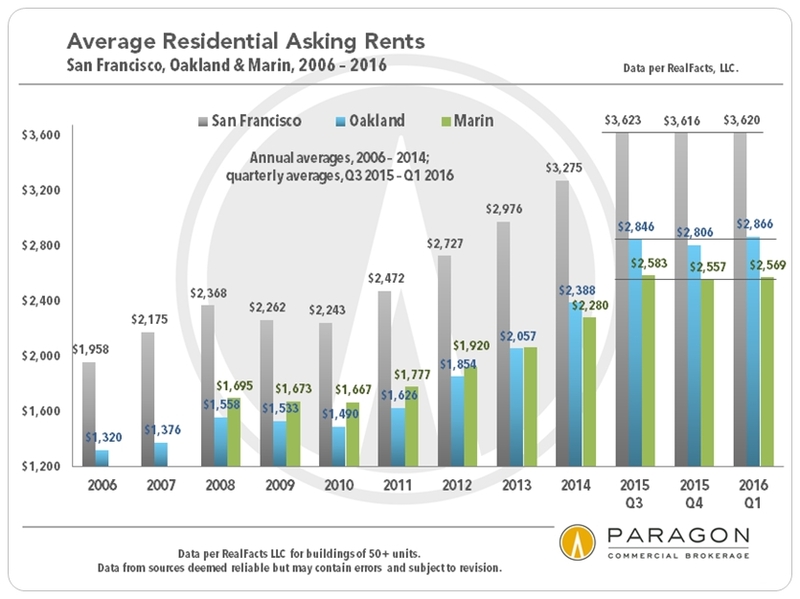 The renters are badly stung financially. But, as well, the real estate brokers legitimately handling the sale of the home are often mentioned by name and number in the scam ads. Brokers can prevent this by: routinely checking the listing on Craigslist or other online rental hubs to see if your properties are listed there. If so, contact the SF District Attorney’s office, the FBI and the FTC complaints department. Renters should beware of any offer that sounds “too good to be true,” and certainly be very wary of homes with no possible personal viewing opportunities. Here’s a helpful link for more rental scam information. We’re Fifth. As a Walkable City in USA. A few days ago I posted a blog on our much-loved city being very bike friendly, despite the ridiculously steep hills. Now, it turns out that ours is the 5th most walkable city in the entire country. That’s a lot of walking competition, and we came out on the high ground. The ranking comes from a 2016 study done by the Smart Growth America think tank in Washington D.C. The report is cleverly named “Foot Traffic Ahead” and studied 30 cities to determine the metropolises that are super walking friendly in ranking order. The criteria among the city contestants was: 100 or more intersections per square mile, sufficiently high commercial property density, and a walk score of 70.5 or better. I know you’re curious. Which city was more walkable than ours? In order: New York, Washington D.C., Boston and Chicago. However, the think tank SGA did a kind of unthinking thing that probably skewed SF from being higher. 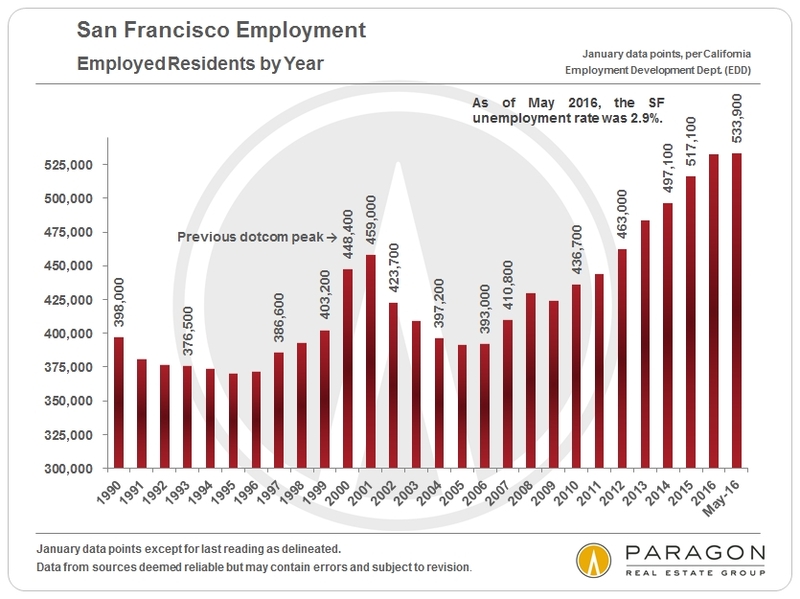 They combined every Bay Area city into San Francisco, rather than just evaluating SF by itself. Go figure that logic. But Los Angeles came in 17th, so there is justice. 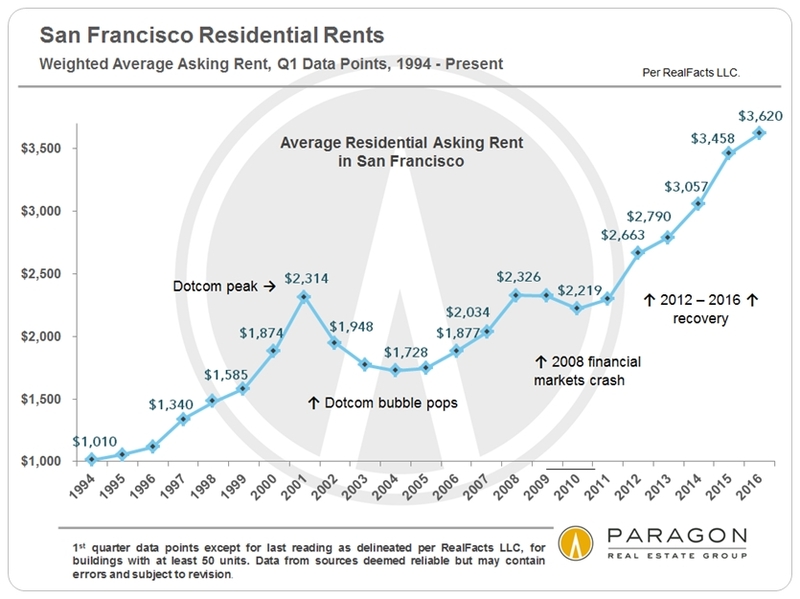 One downer: good walking means higher home real estate prices. But it also means there could be some cheaper cost of living. 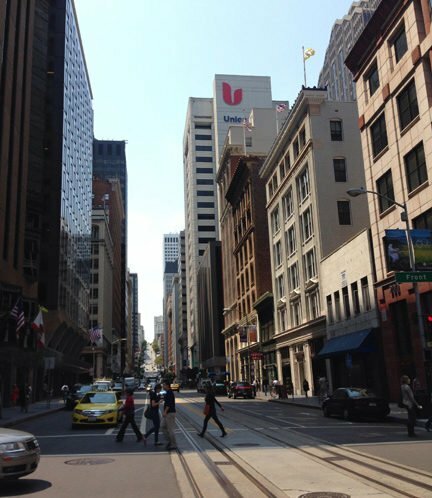 Parking in San Francisco – Tips to Sneak Good Spots! Check any no parking signs posted by the city or at construction sites. 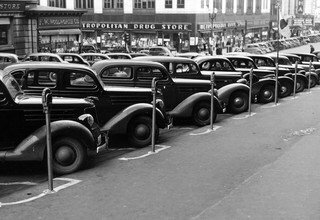 The dates may not correspond with the day you were parking. If the dates don’t correspond with the date your parking you can snag that space. Also check signs in front of restaurants. They reserve their white zones for dining hours which are often towards end of day. You are allowed to park in front of Absinthe at Hayes and Gough for example, up to the noon hour. Other restaurants have even later starting times. Nearly all of SanFfrancisco’s parking meters now enable you to pay by phone, using a little app called PayByPhone. This has been a game changer for me-I cannot tell you how much money I save on parking tickets now. The curb your wheels thing is super important-they will ticket you even on a mild slope that seems nearly harmless. Occasionally, very, very occasionally, you can find a red zone that has been painted by hand instead of the city. You can identify them because they will have no yellow Department of Parking and Traffic indicators painted at either end. Residents sometimes do this in an effort to reserve spaces that are conveniently in front of their houses. Memorize your street cleaning schedule. The moment it ends, the streets can be pretty clear and it becomes easier to find parking. Some cars literally follow the street sweeping truck and park behind its path. Figure out where the reasonably priced garages are. 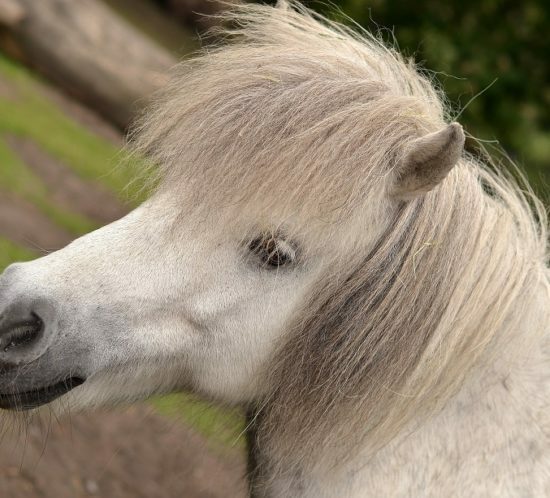 Some of them are run by the city and offer a rate identical to what you would pay at a meter. 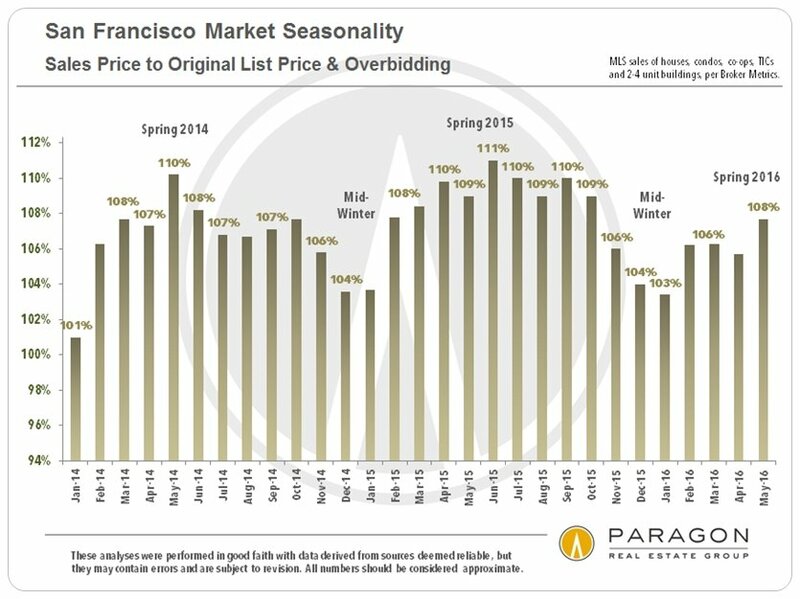 A little app called SFPark can help you find the nearby City garages which usually offer the most favorable rates. But if you’re in a serious bind, you can spring for luxe.com, which will valet your car from wherever you are. 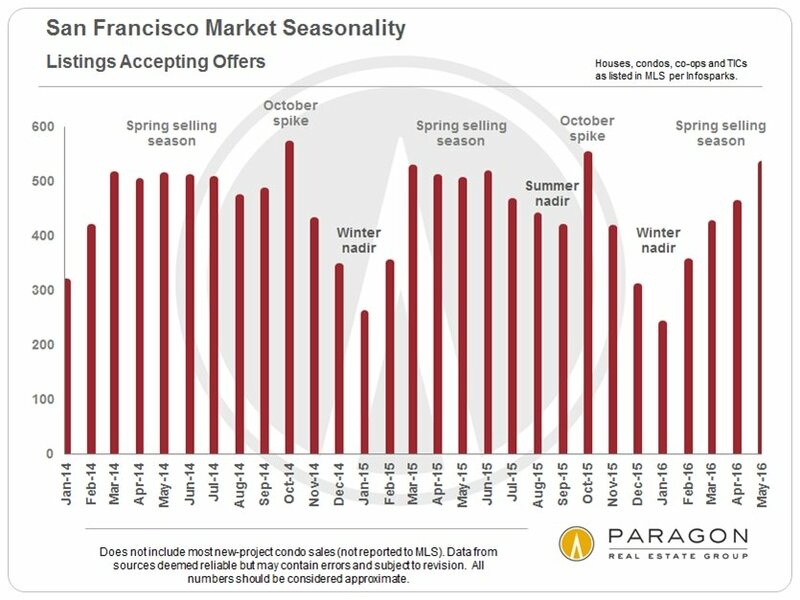 Are we in a summer slow down for home sales here in San Francisco? The charts below reflect a slowing in June, so I’m thinking we’re in the summer season doldrums. 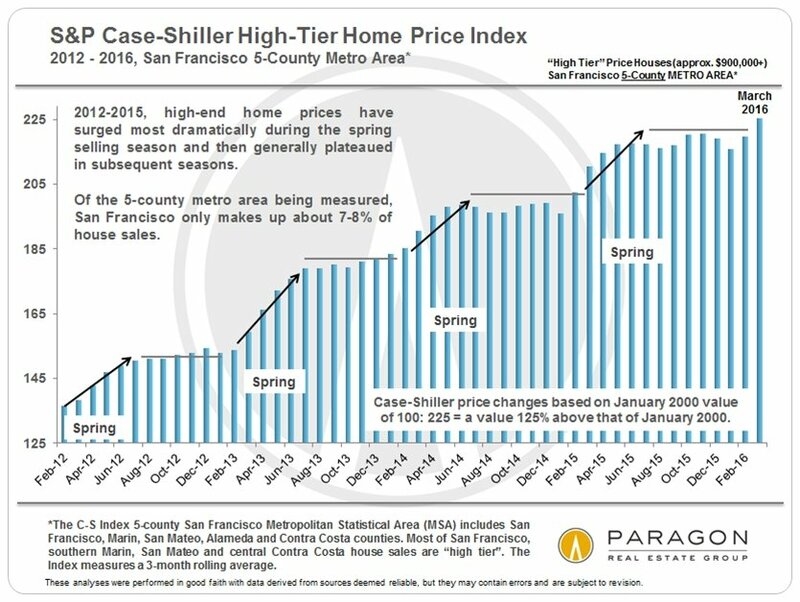 Yet, there are new listings coming up and new sales taking place. There’s some activity even in slower months. 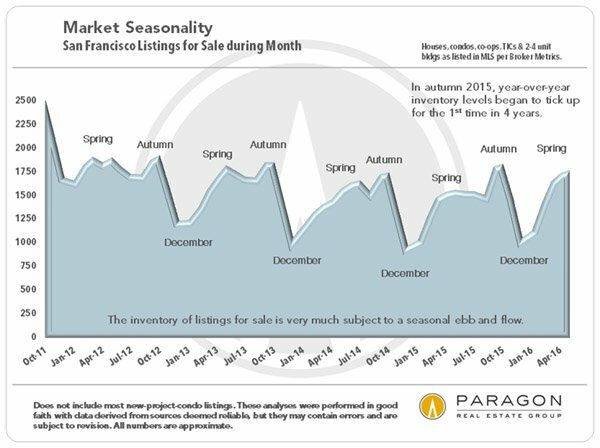 With this in mind, and with an eye on specific properties and their marketability, this seasonal weakening period could be a smart time to buy or sell. 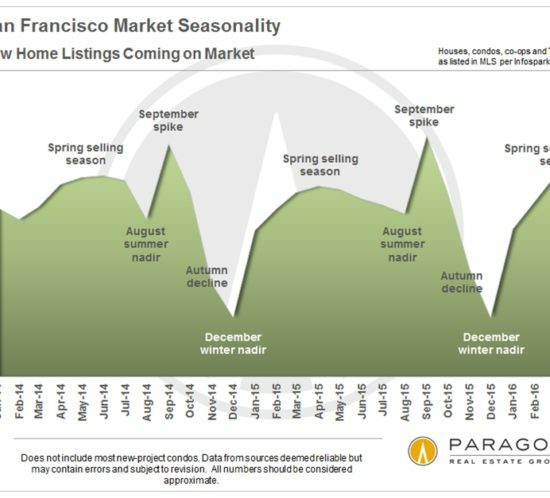 What contributes to seasonal slumps? 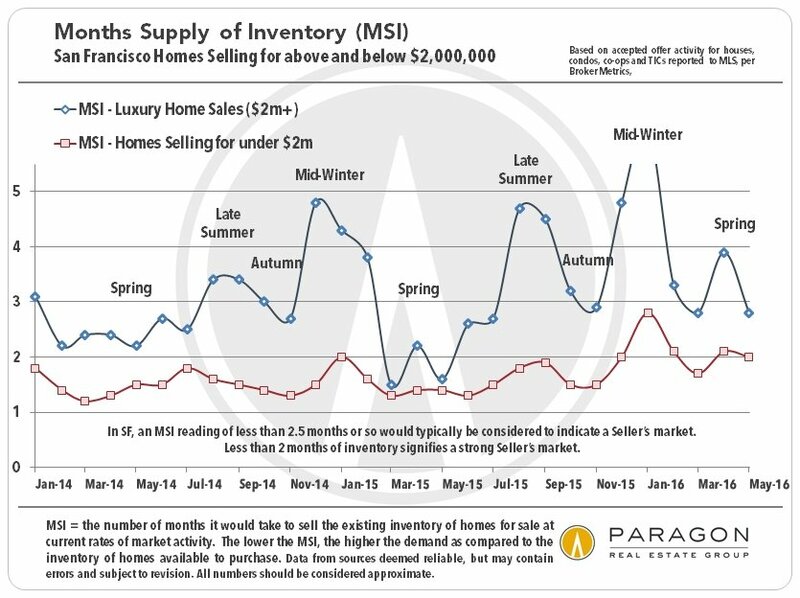 Inventory levels, buyer demand, and median home prices are the major players—as the charts illustrate. 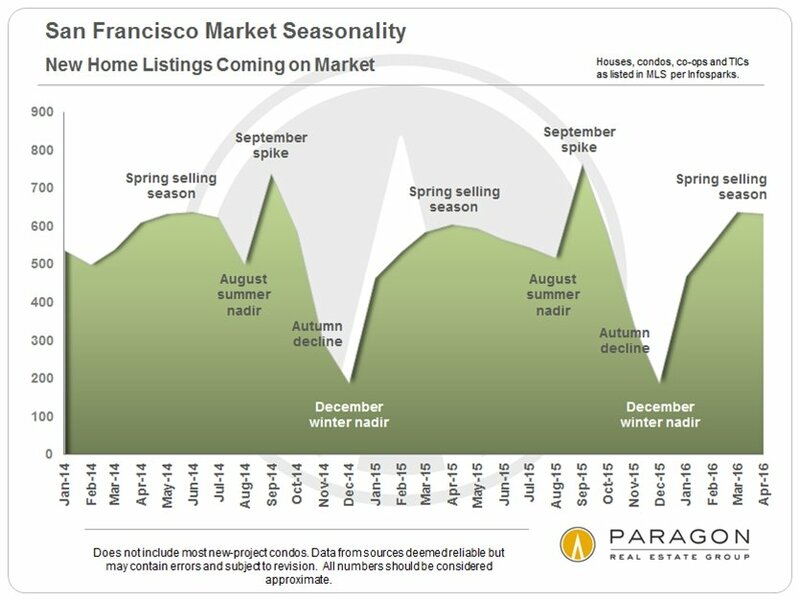 Additionally, there are factors of general economic conditions, financial market movements, interest rate changes, local stock market IPOs, new construction coming on the market, and the unpredictable natural or political events. That’s quite a murky crystal ball. 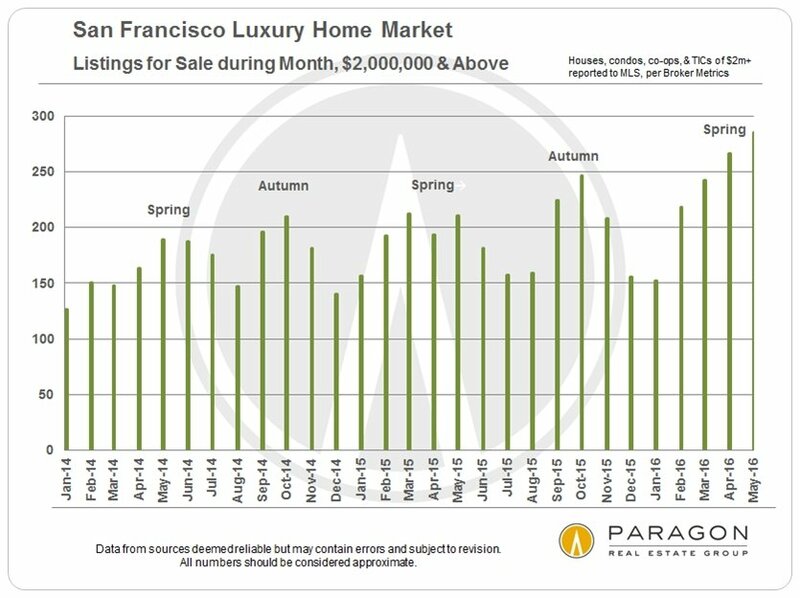 We’ll probably have to wait until July/August is over, and get into the autumn season to get a real sense of how the SF market is doing. 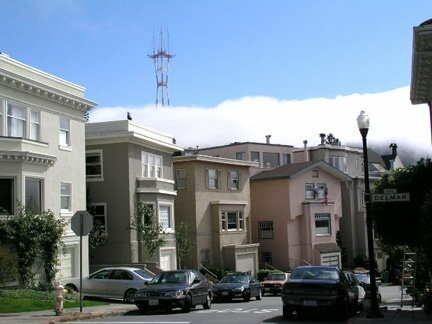 San Francisco (or The City as it’s called by its proud inhabitants) is a city of close knit neighborhoods that are nearly all surprisingly bike-friendly in spite of some steep hill grades that are worthy of Double Black Diamond ski slopes. 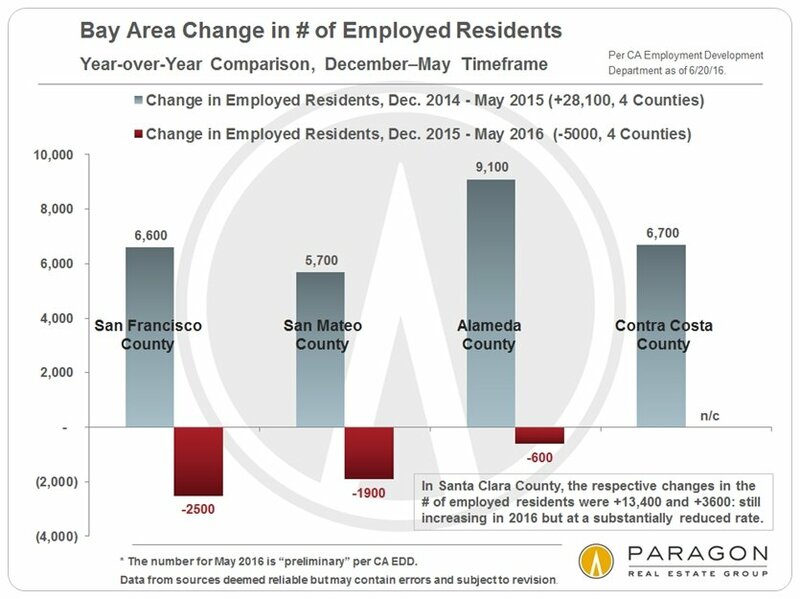 As of 2014, 3.4 percent of the city’s work force commuted to work by bike, a number that is growing consistently year-over-year. 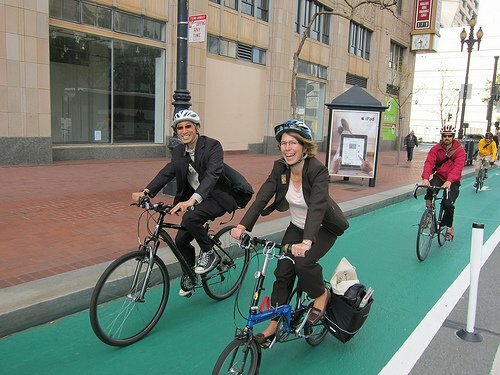 With broad bike lines on major arteries, beating the traffic on a bike is a great way to manage a commute. And it looks pretty cool to be biking to work. One of the ways San Franciscans manage bike travel is knowing how to get around the hills instead of over them. The best resource I’ve found for navigating the slopes is the the GoogleMaps app, which shows me two or three routes and lets me know how steep the grade is for each as well as estimated travel time. For those heading East or South from inside The City, our Bay Area Rapid Transit system (BART) has strived over time to become more bike friendly, with designated areas for bicycles on each car and secure bicycle parking at its Embarcadero Civic Center stations. CalTrain to the Peninsula and ferries to Oakland, Alameda and Larkspur also accommodate bike portage.